Asset protection planning 101 will cover legal concepts, tools and asset protection strategies in plain English. Asset Protection Planners has helped protect hundreds of millions of dollars in liquid assets and real estate for clients. We’ll address the popular topics and questions about asset protection. You have accumulated assets over many years of hard work. The last thing you want is to lose them due to some litigation issue, bankruptcy, or court judgment. However, you can avoid such a lawsuit story with a bit of preparation and planning. Using asset protection strategies can put a stop to losing assets should you ever run into any serious problems. Regardless, it can be difficult to understand the laws passed regarding asset protection. You can learn how to legally secure various types of assets. When you look at the statistics, 96% of the lawsuits in the world are filed in the United States. Therefore, if you live in the US, understanding how you can protect your assets from lawsuits becomes critical. This article covers various aspects of asset protection planning that can help shield you in case of litigation. 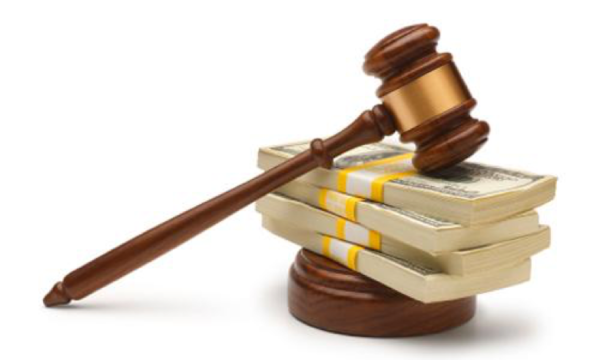 It can help you understand how to protect your accumulated wealth from lawsuits. 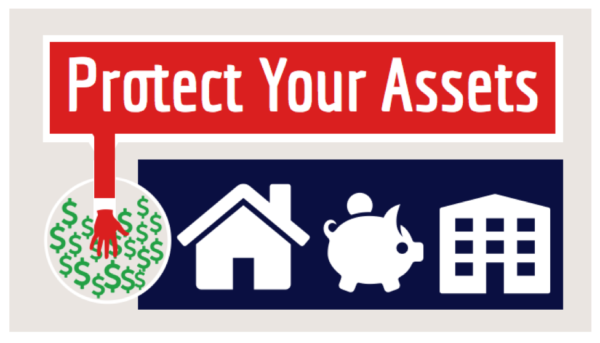 What Is and Asset Protection Plan? Many individuals with assets incorrectly assume that since they obey the laws that nobody could ever sue them. Others think that beginning asset protection is only necessary for people with careers who are common targets of litigation. This may include physicians, building contractors, etc. However, the notion that “playing nice”is both a dangerous and incorrect perception. Moreover, if you are in a profession with less perceived liability the contingent fee attorney on the other side of the table really doesn’t care. He is just looking for his next meal, and you are his next conquest. Keep in mind that, like a robbery, getting into a lawsuit is up to the other guy, not you. There are several uncontrollable life occurrences that can create legal issues and threaten your assets. Tomorrow someone could slam their breaks on in front of you. Some money-hungry soul could sue you for far beyond the limits of your insurance policy. The problem with these types of circumstances is that many people believe these things won’t happen to them. The fact is that you are not immune. They can happen to anybody, and very unexpectedly. If you have not approached the idea of establishing an asset protection plan yet, you might lose your assets. A lawsuit could force you to file for bankruptcy. You could wind up in a divorce battle. You might have to pay outrageous fees to defend yourself in a civil lawsuit. Many more unexpected issues exist that could put your assets at risk. For example, say you are the parent of an adolescent that winds up on the wrong side of a car accident, and the injured party decides to sue you over the incident. Did you know that most devastating automobile accidents result in lawsuits of far greater than the insurance coverage? This litigation could result in you losing all of your vulnerable assets to the other party. Since many of these issues are difficult to predict, it’s best to seek out an asset protection plan before anything that might endanger your wealth occurs. In the United States, both federal and state law dictate how and which assets are shielded from a court decision. What follows below is an example of various assets and the how the law works to shield those assets. The purpose is to provide you with an overview of how you can legally protect some of your assets to avoid their loss should litigation occur. Traditional IRAs and Roth IRAs may both retain be protection from loss in bankruptcy court. The cap for asset protection with both types of IRAs is one million dollars. The bankruptcy court may decide to adjust this to a higher number. Furthermore, certain plans that you can roll over into other plans, like 403(b) and 457(b) plans, come with no limit to their protection. It is important to note that the cap of protection is only for bankruptcy court proceedings and is not applied in other court decision. When court proceedings outside of bankruptcy court occur, state law generally dictates the level of protection. Certain types of retirement plans receive no limits on protection from both bankruptcy and creditors. Retirement plans received as an employment benefit, whether or not the plan receives coverage from the Employee Retirement Income Security Act (ERISA), fall under this category. An unlimited cap also protects ERISA retirement plans with two exceptions. First, if there is a qualified domestic relations order, it may allow the courts to remove your assets and hand them over to a previous spouse or payee. In these cases, courts can lift the shield. Second, if something happens and the IRS hits you with tax levies, this can also lift the veil of protection. Therefore, certain qualified plans do not count as ERISA plans if that plan only protects the business owner or owners (also called owner only plans). Owner only plans do not receive the same level of protection and state law cover these types of plans. Depending on what state where you live, you may or may not have protection from having your home confiscated in a lawsuit. Some states offer significant protection to homeowners and others offer no protection at all. So make sure you understand the homestead protection laws in our state. Annuities and life insurance protection may offer some protection, however the rates of return on the money put into these plans are usually poor. State law also dictates whether or not annuities or life insurance are protected. In some states, the cash surrender values of life insurance, as well as earnings from an annuity contract enjoy protection. In other states, beneficiary is granted protection on his or her interest to the extent that it provides a meager living. However, some states offer no protection. Therefore, become aware of your state’s requirements and how they might affect you. Although some people still seem to approach asset protection with a knee-jerk reaction after someone slaps them with a lawsuit. There are many sound and solid legal ways to protect your assets, but the protective measures almost always work best when put in place before a legal attack. Optimal asset protection planning means putting up your defenses up before any creditors launch attacks to access your wealth. When you protect your assets and you encounter a lawsuit, the creditors know, or will quickly find out, that they will have difficulty getting through your defenses. They may not even bother to try. Instead, this creditor will be more likely to seek a settlement rather than attempt to wade through the legal process and costs of attempting to reach protected assets. Here are a few approaches you can take to protect your assets. 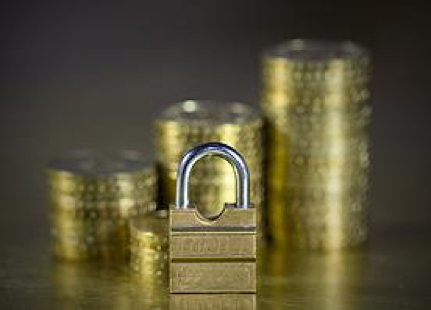 The following list provides a breakdown of some of some of the most powerful asset protection steps you can legally take to ensure the safety of your wealth. Form an asset protection trust to keep your wealth safe. Asset protection experts agree that forming a trust in places such as the Cook Islands and Nevis offer the strongest defense, An onshore trust formed in a state may also be an option for you, especially if you live in one of the few states that offer asset protection trusts. Some of the states that currently offer asset-protection trusts, include Nevada, Alaska, Rhode Island, Delaware, and South Dakota . The problem is that we have seen the penetrated repeatedly because they are with the judge’s reach. Offshore trusts put the ball beyond the reach of your local courts. In most offshore and onshore trust jurisdictions, an individual seeking protection does not have to live in that state or country. Because the offshore trust has a trustee that is outside of your local court’s jurisdiction, that trustee is not required to abide by your local court orders. If your local judge demands the money in the trust be forfeited, the foreign trustee can refuse to comply. Domestic trusts do not have this advantage. With an asset protection trust, an independent trustee company oversees the trust. Assets placed into this type of trust will be difficult for creditors to seek out during litigation. Some of these trusts offer so much protection that you can even seal them off from ex-spouses should you decide to do so.